I’ve always had what you might call an overactive imagination. My entire life, I’ve made up stories in my head. But it wasn’t until two years ago that I ever thought seriously about writing them down. Well, actually I’ve thought about it, daydreamed about it, most of my life. But for some reason I was convinced I I didn’t have what it takes to be a writer of fiction. Even as I say it, I realize how absolutely ridiculous that is. But most limiting beliefs are. Like that meme that makes its way around Facebook every so often, of the horse tied to a plastic lawn chair. The caption is something to the effect of: Sometimes the only thing holding you back is in your head. Two years ago, I decided to challenge that limiting belief. And on September 1, 2014, I started writing my first novel. Chris Baty’s No Plot, No Problem, was my guide through a month-long fiction-writing binge, where I endeavored to write 50,000 words in 30 days. Now, writing a novel in 30 days is not for the faint of heart. There are days when trying to meet the daily word count almost does you in. Even worse was playing catch up if I missed a day. Or five. But then you have one day where you finally get out of your own way and the magic flows. It makes even the most difficult of days worthwhile. For me, the process was even more exciting than the finished product. Because I discovered that, as much as I love reading fiction, I love writing it even more. It’s play time for me. I know what you may be thinking. Here I am talking about how much I love writing fiction, but I’ve never actually shared any of it. Well, that’s about to change. No, I haven’t landed some publishing contract. Not yet, anyway. But a girl has to dream. I’m setting a new challenge for myself this month. 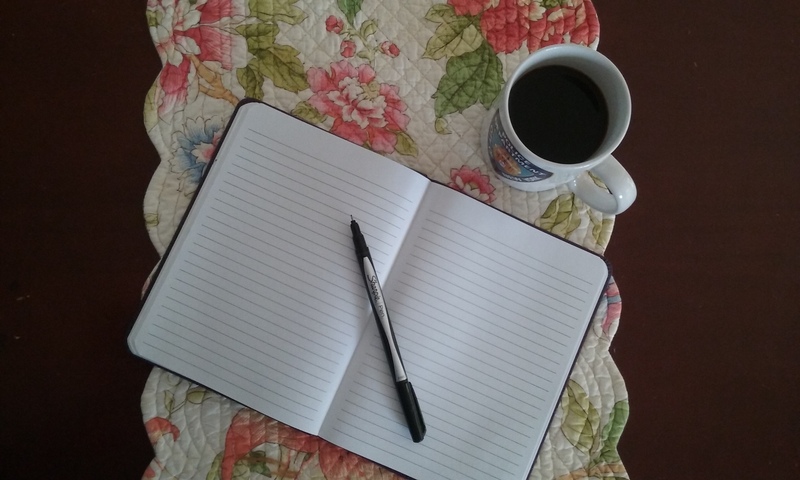 My goal is to write fiction every day for 30 days. Rather than work on a serious project, like a novel or short stories, I’m going to play. For the last couple of months, I’ve been stretching my fiction-writing muscles with a really cool writing exercise. I picked it up from Lawrence Block in Write for Your Life. It’s essentially a timed free writing exercise, but instead of using a topic as a starting off point, you use a sentence. The first time I did this exercise, it blew my mind. As you may have gathered from my other blog posts, I tend to get in my own way a lot. But every time I have done this, I am surprised and delighted by the characters and storylines that reveal themselves with absolutely no conscious effort on my part. These aren’t fully formed stories by any means, although I do have a few nuggets that may become seeds for other projects. But they are so much FUN. So for the next 30 days, I’m going to do one of my fiction free writes every day. And yes, I’m going to post them here. Holy crap. I can’t believe I just promised that. To pull this off, I’m going to need your help. Each of my 30 entries will require a starter sentence. Yes, I can pull them from other sources, but it will be so much more fun if you’re involved. So if you’d like to lend a hand to my little endeavor, please post your submission in the comments below, on Facebook, message me, etc. You will, of course, get a shout out – and my undying appreciation – if I use yours. And bragging rights, of course, if there are any to be had. This all sounds like madness to me at the moment, but I’m committed to it now. Wish me luck!